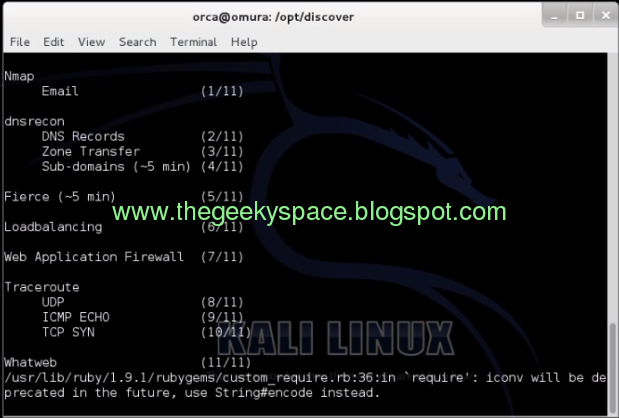 Passive discovery is an activity of looking and searching information about certain organization or a network.While Kali Linux has massive tools that we can utilize to do this, it might take us a lot of time in learning each tools. Lee Baird .Discover script not only incorporate various kali tools but it is also easy to use . 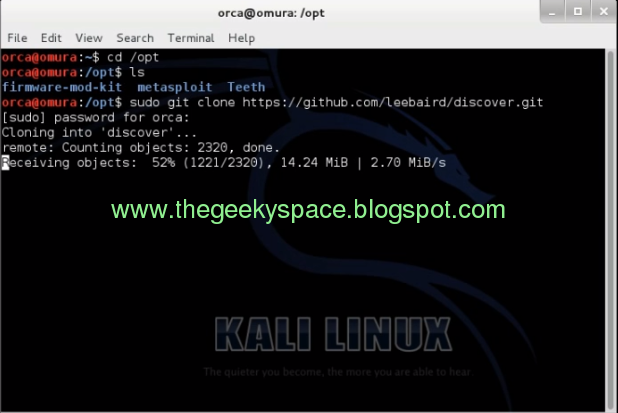 In this tutorial I'll share on how to setup the framework with Kali Linux and then I will share on how you can use this framework top ook for a network or any network or company passive information. 1.1) Clone git to Kali Linux. 1.2)Setup and install the necessary file for your system . 2.1) Go to discover folder and execute the "discover.sh" file . 2.2)The framework will load and you will be given a list of task that can be executed .Use the number in the left for the selection. 2.3)In this example, I will run a script and get information base on domain , I choose "1" . 2.4)Then Choose "2" and key in the domain name. in this example, i look for information for "www.google.com" .The framework will then run and execute the required tools for this task. the system is working hard! 2.5) Upon completing, the result and report will be prepared and you can view it using internet browser. 2.6) To access this file, from the terminal, go to "/root/data/(domain name)/"